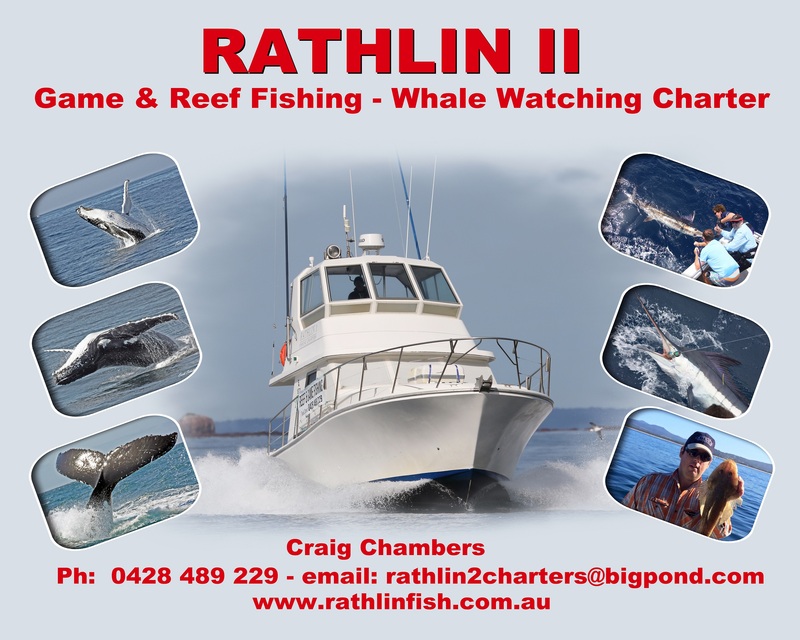 Rathlin has been Merimbula’s most successful fishing charter boat for numerous years and will be for years to come. Merimbula’s best and most prestigious charter vessel. Professional service 2nd to none. The skipper and crew are well qualified to catch that fish of a lifetime for you. All electronics are state of the art fish finding equipment including chirp sounder technology – the best for finding fish – with a 3kW transducer. All Shimano Rods and Reels with braid for reef fishing. Skipper Craig Chambers has been commercially fishing for 25 years in several different countries. He holds a Master v and a med 3, so you know you are in good hands. The boat is a 41ft steber, custom built from the ground up for maximum space for fishing. It has a galley for making lunch, morning and afternoon tea. There is a toilet onboard and a spacious lounge for relaxing. We cruise out to the shelf at around 20 knots with a top speed of 28 knots. For the best game fishing, reef fishing, deep sea fishing or whale watching on the Sapphire Coast, book on Rathlin II.